Ben leads a team of agents who specialize in energy efficient new home construction and building science— a perfect fit for Shea Preferred Realty. With a 35 year background in residential construction, our expertise in this area is something from which every investor, buyer, and seller should benefit. For our Shea Preferred clients, we have aligned our company with competent home inspectors who understand the components of energy efficient construction. We work with Shea Mortgage to handle your lending needs during the purchase of a Shea Preferred listing, and we offer discounted title fees through Security Title. We also offer in-house full listing service for our Shea Preferred clients. Ben has been actively involved with the Energy Star for Homes Program for over 14 years as an Energy Star partner. During that time, he has educated local Realtors, builders, and superintendents on the many benefits of building and selling such a great product. Out of over 100,000 licensed agents, Ben is the only Realtor in Arizona that has partnered with this program. 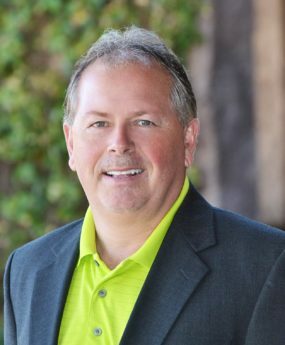 He delivers unbeatable hands-on customer service and industry expertise, and continues to be among the top 5% of all agents, locally and nationally, in overall sales and production. On the personal and community side, Ben has been involved with youth sports as a coach, manager, and board member for over 20 years. Ben coached Arizona 5A high school softball, was a 10 year member of the Gilbert Arizona Youth Sports Coalition, and a 12 year executive board member for Gilbert American Little League. Since 1994 Ben and his team have sponsored more than 50 youth sports groups and programs donating over 250,000 water bottles for fundraising efforts along with numerous other fund raising opportunities.